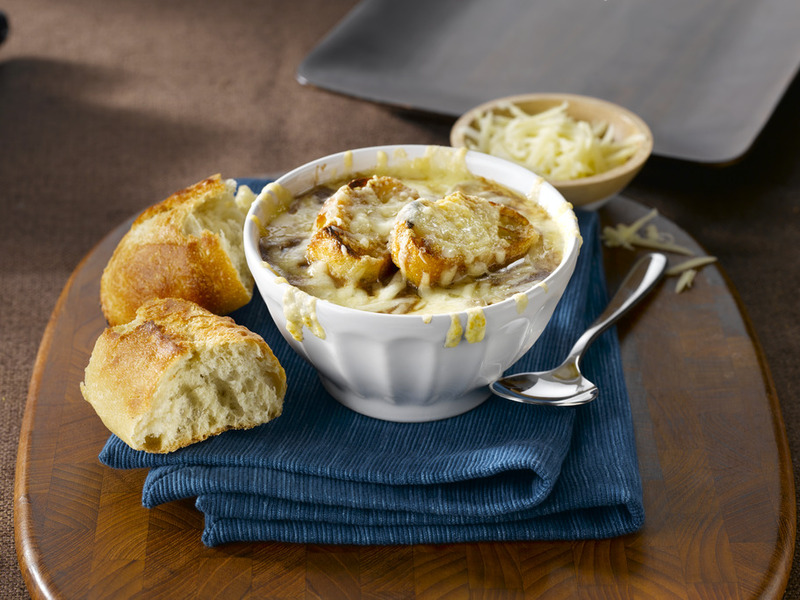 This classic French Onion Soup is made easy using Campbell's Ready-To-Use beef broth, onions, red wine, balsamic vinegar, Gruyere cheese & Parmesan cheese. In a large stock pot, melt the butter on medium heat. Add the sliced onions and bay leaves and sauté until the onions are golden brown. Add the thyme and flour and continue to sauté for 3 minutes. Add the red wine and balsamic vinegar and cook for 2 more minutes or until the wine evaporates. 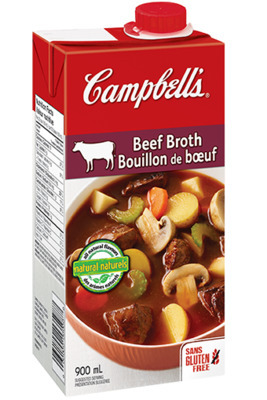 Add the beef broth and black pepper and continue to cook for 15 minutes. Portion the soup into 6 oven proof bowl. Place two slices of the toasted baguette slices on top, cover with Gruyere cheese and parmesan cheese. Broil in the oven until the cheese bubbles and turns golden brown. Caramelized onions are the best option for this soup recipe. When serving, feel free to also prepare a side like garlic bread or cheesy toast.